Sounds like a fishy flight! Especially if salmon is the starter! Think I'll VLML outbound and leave as normal for the fish pie on the rtn. On BA 811 (7:05a) CPH-LHR (medium) in CE 16Nov. Now this is LGW, and there are slight differences to LHR, but that's essentially what you are getting. You may find other photos upthread too. 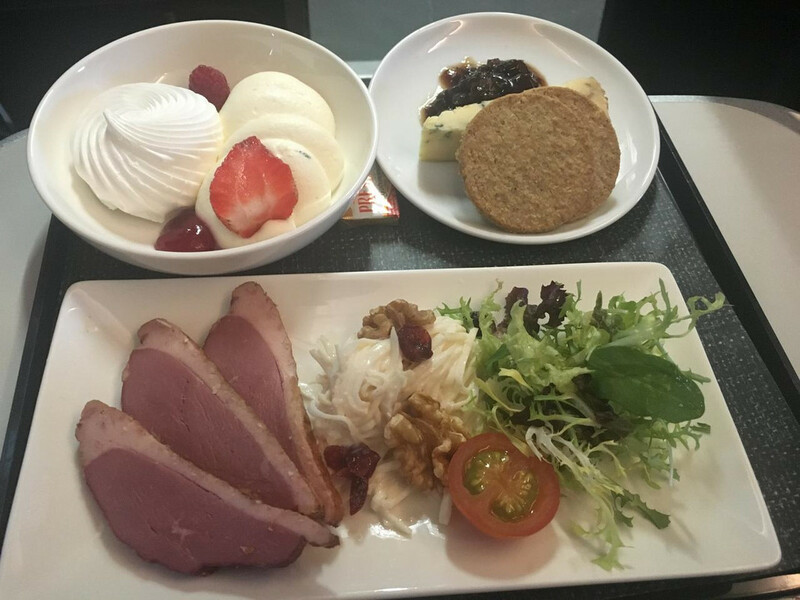 The breakfast meal doesn't greatly vary except for the very short flights to MAN and LBA. I hear CE food offerings is getting an overhaul at the start of 2018, may sound stupid , but is this true ? It is discussed in the Capital Market Day thread. It is going to be interesting to see what changes and if it is going to be an improvement. My fear: Free items from the BoB menu. Thanks mate , was following the Capital Market Day thread from the start , but lost interest of following it after i read most the keynotes. However will have a look now to see what people think is gunna happen, indeed going to be very interesting ! As promised upthread, you can see below the new long rotation A chicken tikka masala meal picture. A couple of thoughts on the flight too, however. Odd wording during the manual safety demonstration: “there are two exits in front of each cabin”. IMO this is technically wrong, as there is no exit in front of the ET cabin, that is at row 5. Manual demo was necessary due to a short taxi out. In fact, when I asked about it, the cabin crew told me that they quite often can’t show it as it is so long and that this is, quote “sad”. The crew didn’t know what the offering was and had to constantly go back to the galley to check what was loaded. My OH ordered a vegan meal, but the pasta is labelled vegetarian and is in fact the same we were given in June when we ordered vegetarian. My OH was sure these were pasta with eggs. 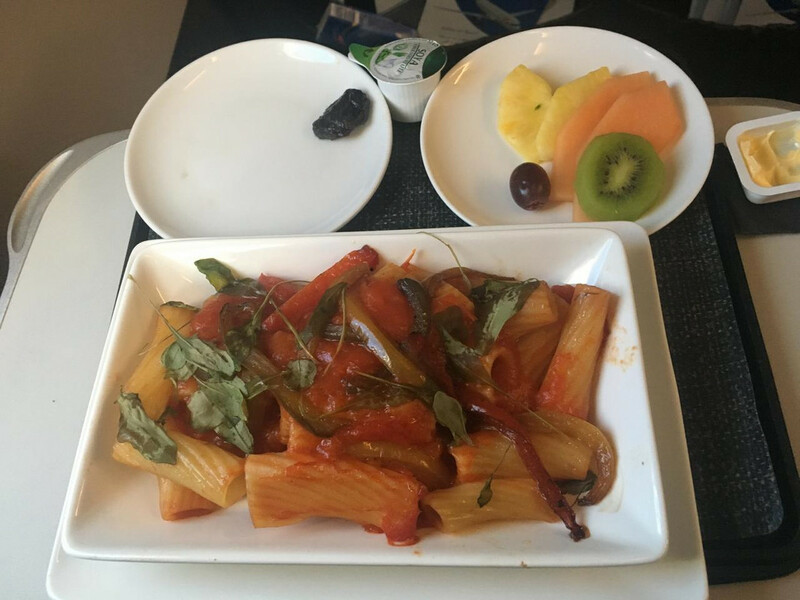 There is clearly something wrong with BA’s special meal logistics and honestly it is ridiculous and tiring, not only for cabin crew but also for customers. I mean the desert and starter was vegan, so why not the main? 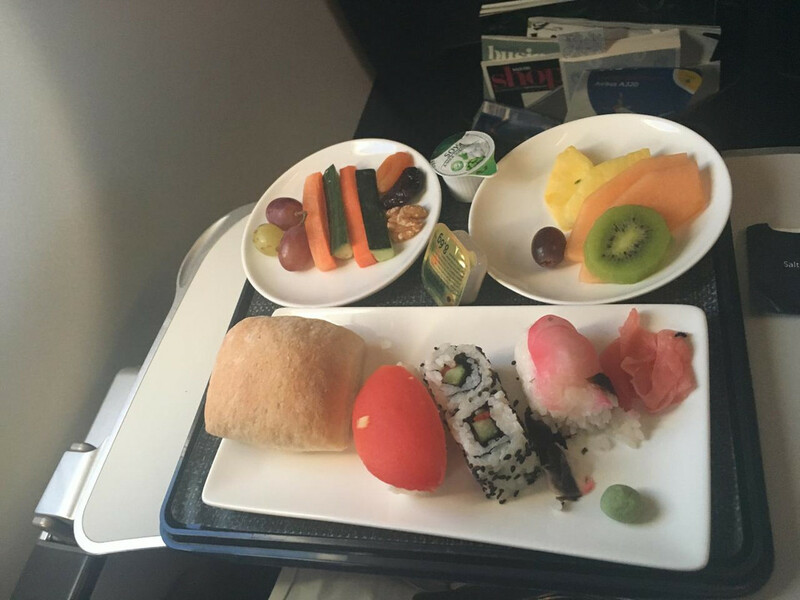 British Airways very clearly doesn’t care as there have now been so many issues with special meals over the last couple of months. Chicken Tikka Masala was tasty, a bit spicy and quite filling. Main (chicken tikka masala), on the right there is cauliflower. Andriyko and corporate-wage-slave like this. That looks very nice, Im on the 1855 EDI-LHR tonight. I'll be sure to update what it is like in terms of food offering, service and drink options. 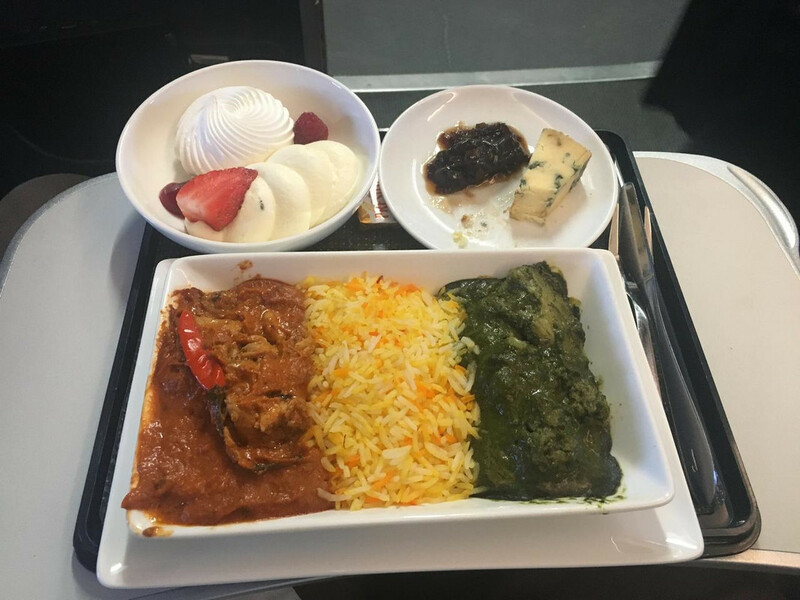 Do you get a hot meal on CityFlyer on Domestics at dinner time? (I know on Mainline, you don’t). No longer unfortunately. The two recently posted LCY menu cards give you the options, essentially it's a chilled salad. Is there a date for the new catering changes? Or just sometime next year? No, I don't believe a date has been committed here, but logically winter 2018 would fit in if there were 1 year contracts at stake here. That's speculation obviously. If it were a one year contract, surely any new menu would take effect for the Spring/Summer 2018 schedule in March 2018? That being said, I agree towards the end of the year is more likely.